Some areas of the face can lack the volume or fullness we desire. As skin ages it loses its elasticity and becomes less supple resulting in lips losing their fullness, lines appearing around the mouth and nose area, and cheeks looking sunken and hollow. Others of us can find ourselves unhappy with the general volume in certain areas of our face, but don’t necessarily like the idea of a surgical procedure. Dermal fillers can be used to volumise regions of the face and non- surgically enhance the shape of the face. It is an exciting experience as results are immediate with minimal side effects. Only non-permanent fillers, largely consisting of a natural substance called hyaluronate, are used by Dr Watson, the effects of which may last at least 6 – 8 months, depending on the area and type of filler chosen. The most popular regions to treat are the lips, mid face, naso-labial folds (the fold from the corner of the mouth to the nose), marionette lines (underneath the corners of the mouth and extending towards the chin) and static wrinkles. Chicken pox scars or acne scarring may also be filled. Dermal fillers can be used in combination with laser treatments to treat scarring, facial lines and rejuvenate the skin. They can also be used in combination with anti-wrinkle injections as fillers provide volume to static lines and anti-wrinkle injections relax the muscles which contribute to forming lines. If you’re considering using Dermal Fillers to regain fullness or volume in the cheeks, lips, or around your face, your most important consideration should always be safety, the expertise of your practitioner and the products being used. The treatment may involve using a topical local anaesthetic cream or a nerve block prior to the injection of the dermal filler. After the procedure you are able to continue routine activities, although intense exercise is not advised. 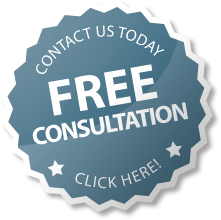 Temporary side effects of dermal fillers include local swelling, redness, asymmetry, transient lumps and bruising. Please notify if you have a history of cold sores if the treatment is around the mouth, as anti-viral medications may be advised prior to treatment to prevent a flare-up. Dermal fillers can be used to volumise specific regions of the face. 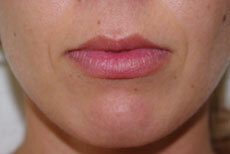 Common areas are the nasolabial folds, lips and corners of the mouth. These treatments can be used in combination with laser therapy. Comfort is a priority and pain management options can be discussed as necessary. Only temporary fillers are used at this clinic. Side effects may include local swelling, bruising, asymmetry and transient lumps. Most dermal fillers include an added anaesthetic, which makes the treatment more comfortable. The effects will fade gradually but should last between 4 and 12 months depending on the treatment, at which point you can come back to us for a top up treatment. If you decide not to continue with the injections the gel will biodegrade in the skin and simply disappear. 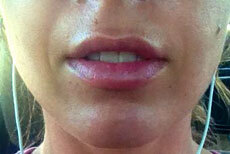 There will be some redness, tenderness and swelling around the treated area immediately after the injection. You might also feel an itching sensation. 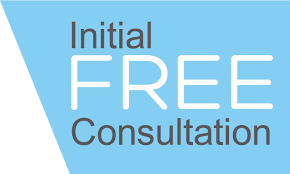 At our Initial consultation we will have reviewed your medical situation and can advise if there is anything that needs to be reviewed prior to the treatment. The treatment may involve using a topical local anaesthetic cream or a nerve block prior to the injection of the dermal filler. After the procedure you are able to continue routine activities, although intense exercise is not advised. You may experience a little tenderness and redness during the first 24 hours, but these will abate quickly. We like to have a review post the treatment to ensure that you are satisfied with the results.